While small (measuring 265 sq. 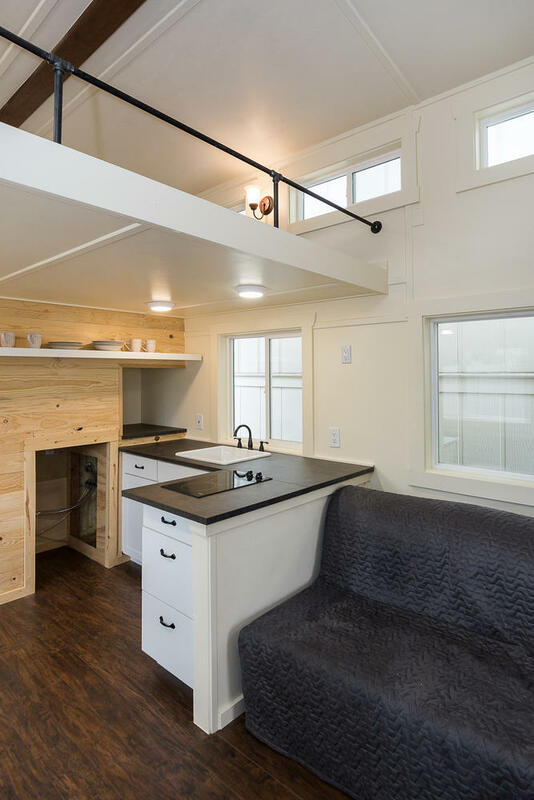 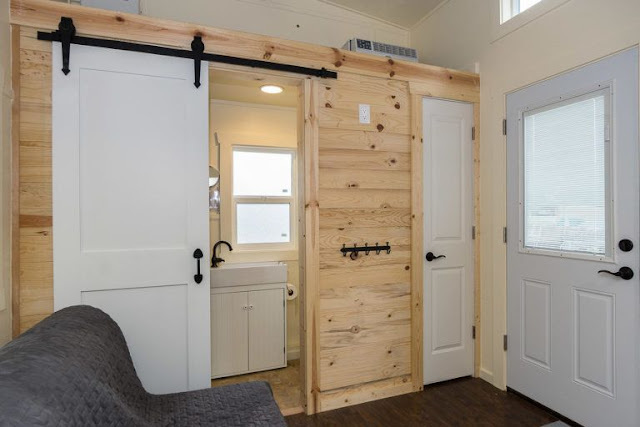 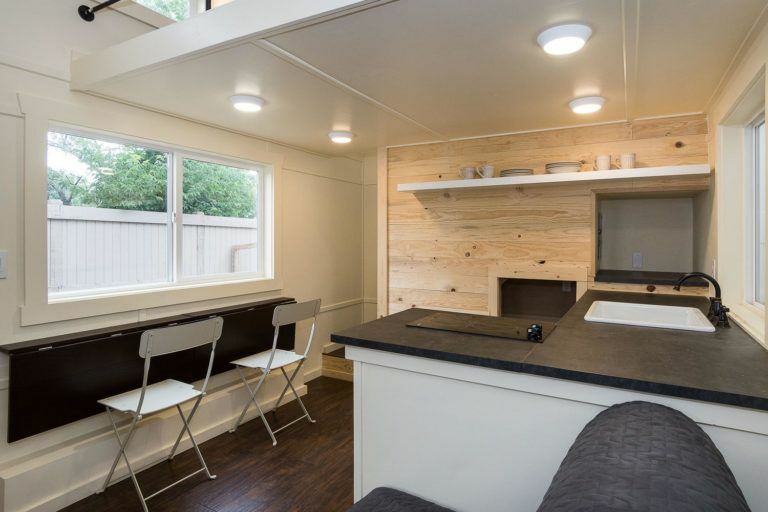 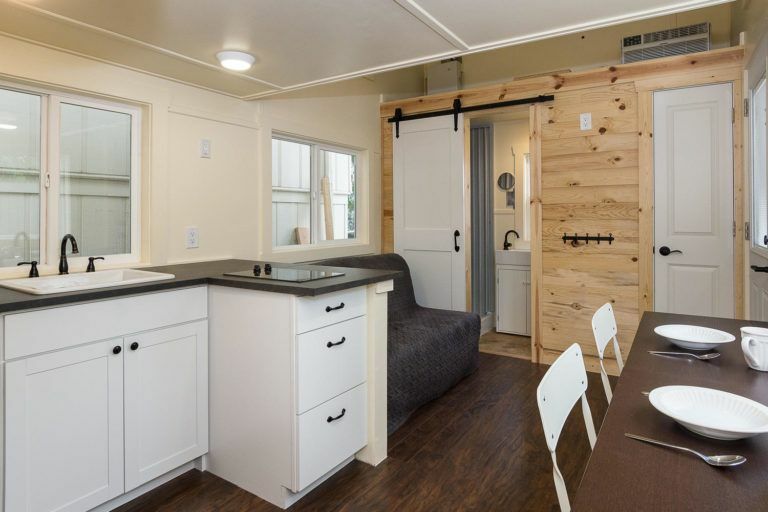 ft.), this tiny house is not lacking in any of the comforts you are looking for in a home. When you walk through the front door of the home, you will find yourself in the main living area. 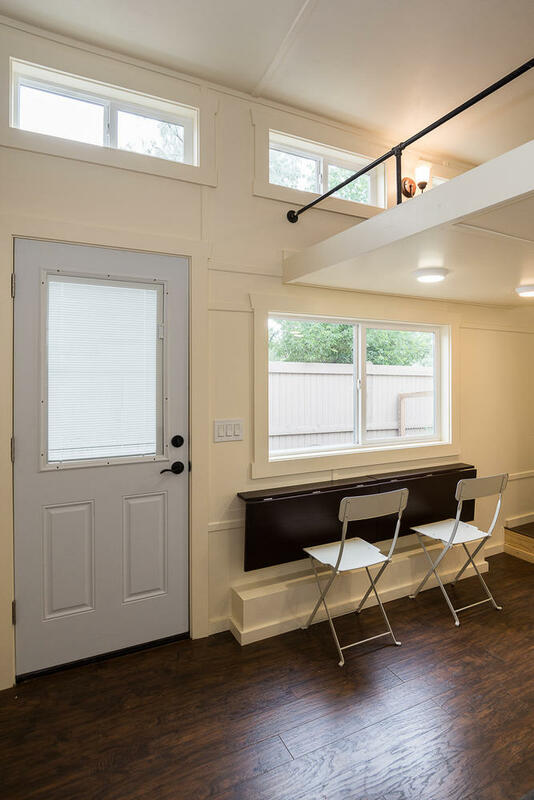 This space is furnished with a couch on one side and a fold-down table on the other. 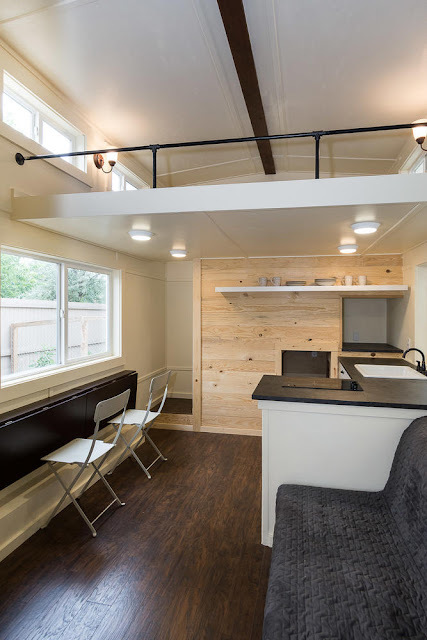 The fold-down table can be used as a workspace during the day when the sunlight is beaming through the large window in front of it, and it can double as a dining table in the evening. 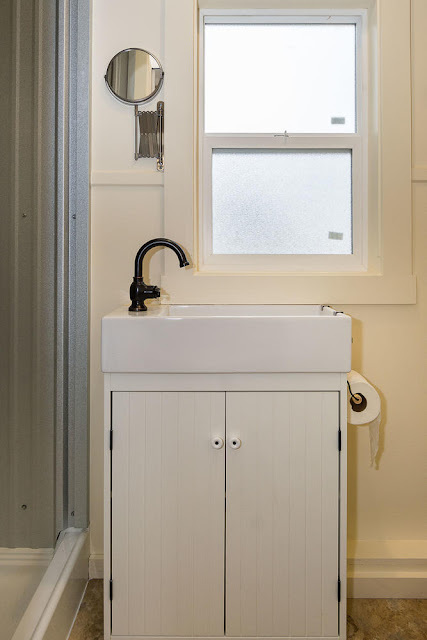 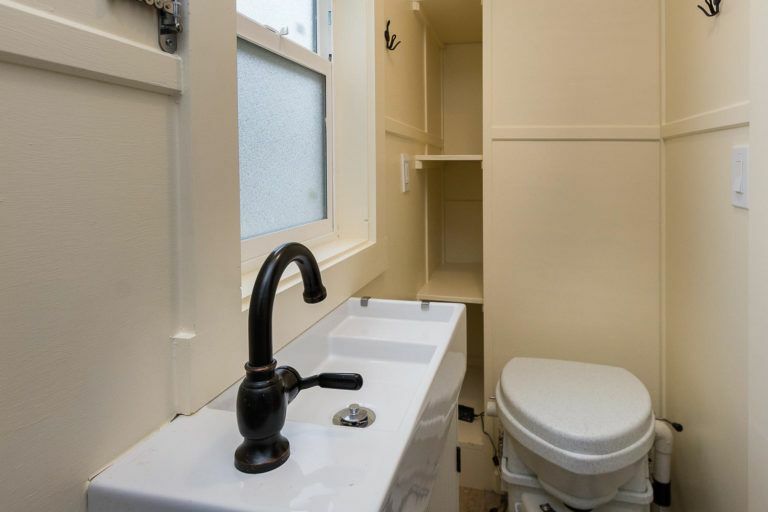 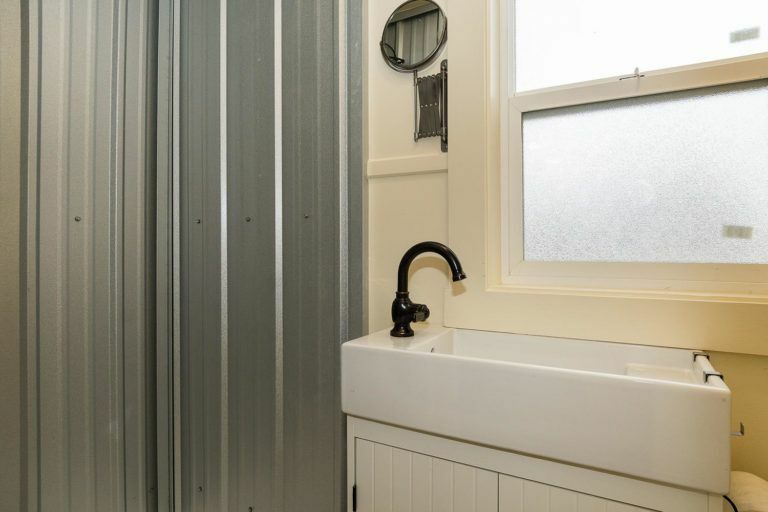 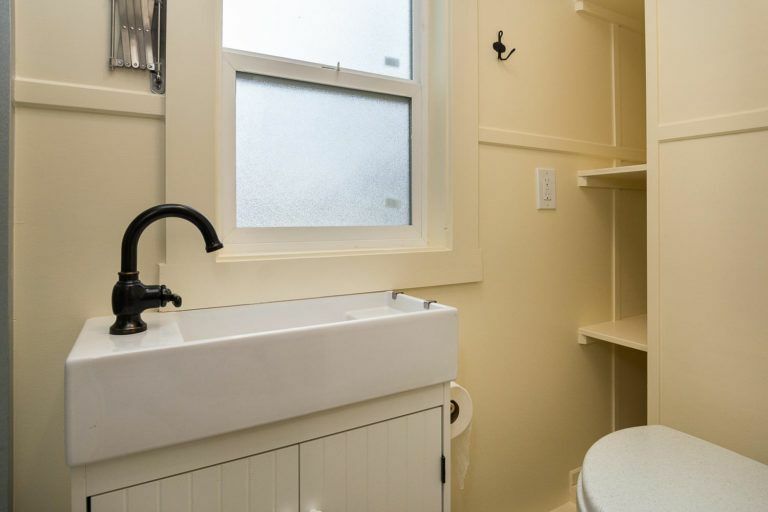 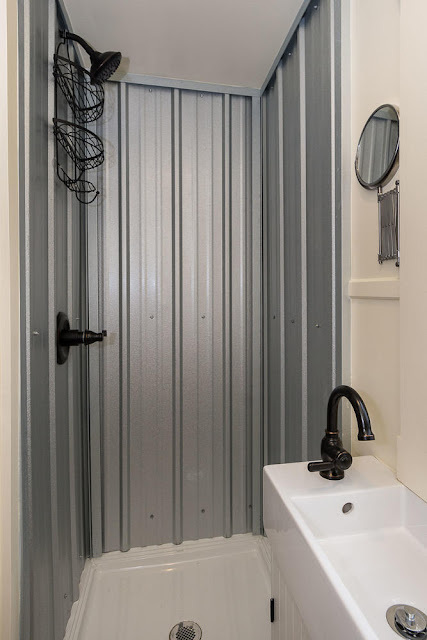 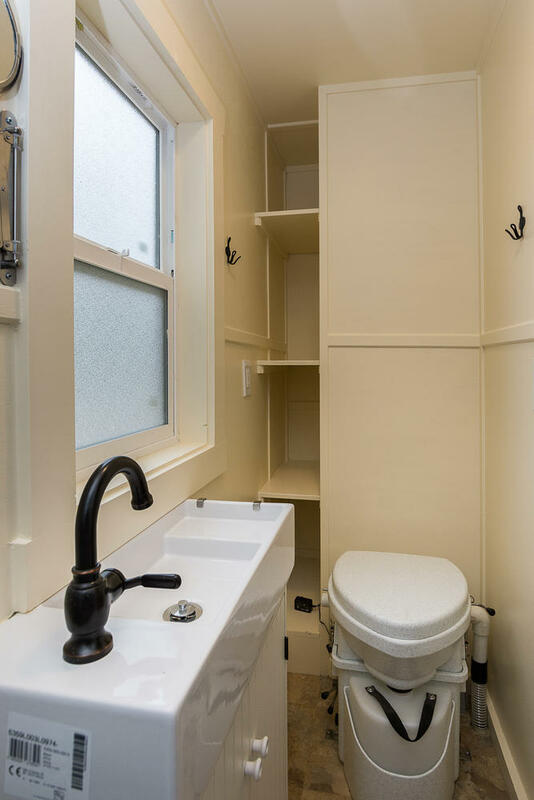 To the right of the living room is the tiny bathroom featuring an in-house toilet, metal shower, plenty of storage space and a rectangular, white sink. 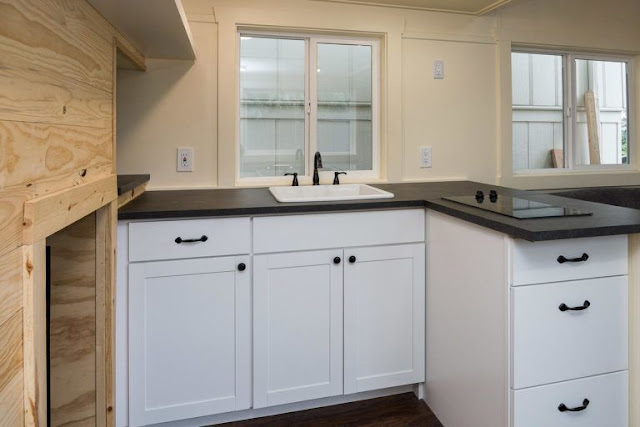 If you exit the bathroom and walk through the living room, you will enter the kitchen furnished with dark wood countertops, white cabinetry, a deep sink, two-burner cooktop and space for a mini fridge/freezer. 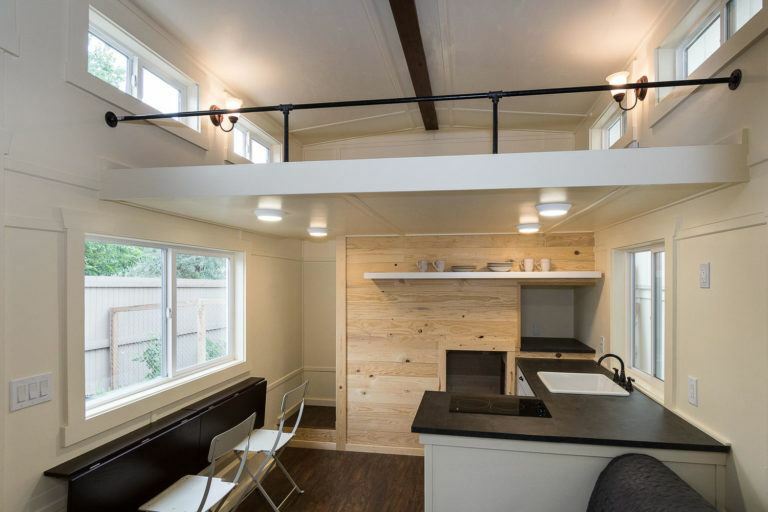 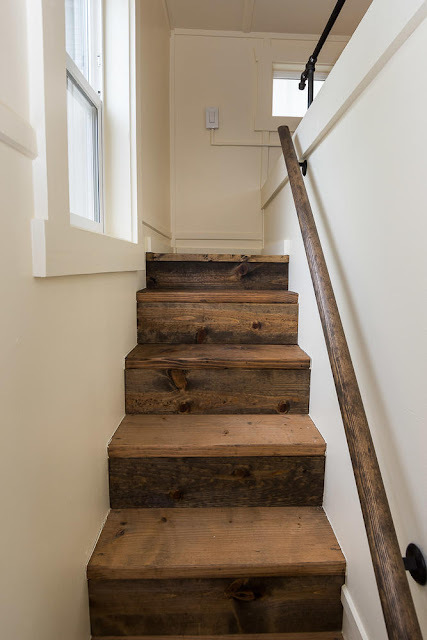 This home is unique in that it has a stairwell (located to the left of the kitchen) rather than a ladder that leads up to its lofted bedroom! 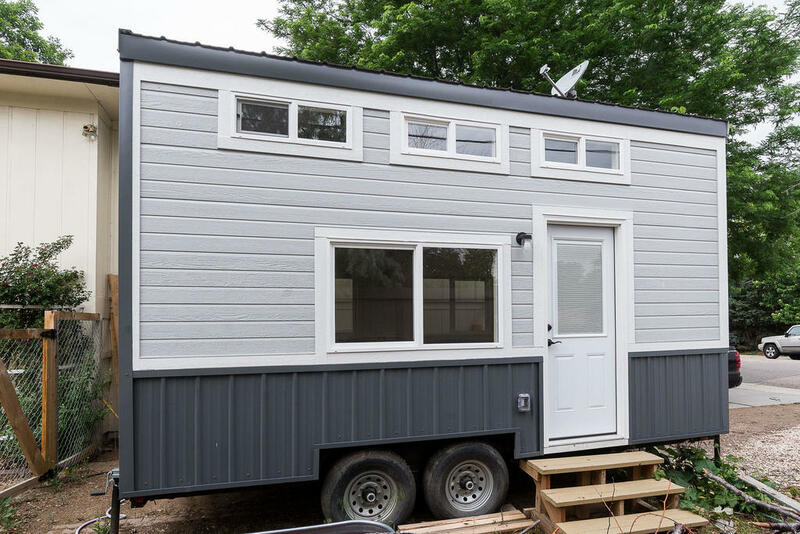 For more information on this $40,900 home, visit its listing here!